How do you know when something’s deliciously awesome? When there are no leftovers. Remember the homemade pumpkin puree? And then poured it into a pie crust. First prepare your pie crust. 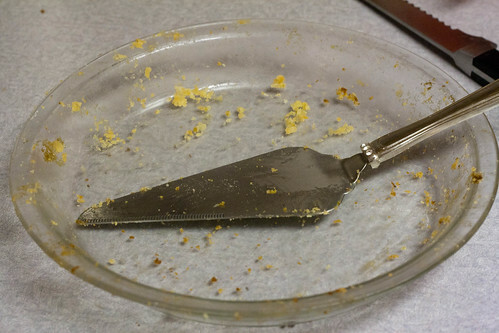 Did you know: If you roll out your pie crust between two sheets of plastic wrap, you don’t have to flour your rolling surface and rolling pin? It also sticks together and won’t crack!! Why didn’t I know this?! 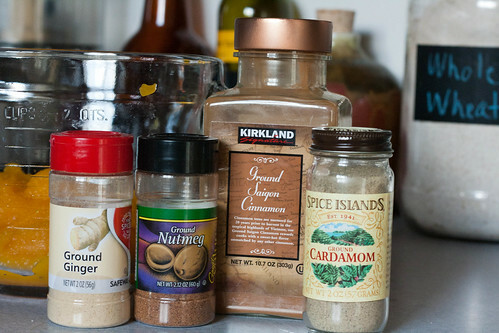 Mix the pumpkin, cinnamon, nutmeg, ginger, cardamom and salt together in a bowl. 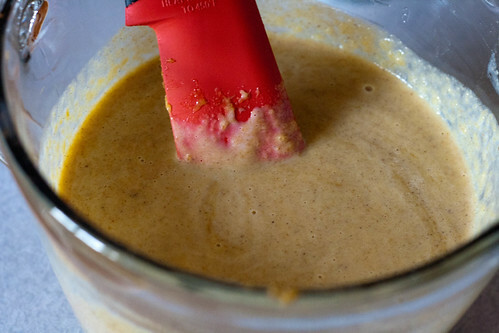 Add the sweetened condensed milk and eggs, mix until smooth. It will be pretty runny, but that’s perfect. 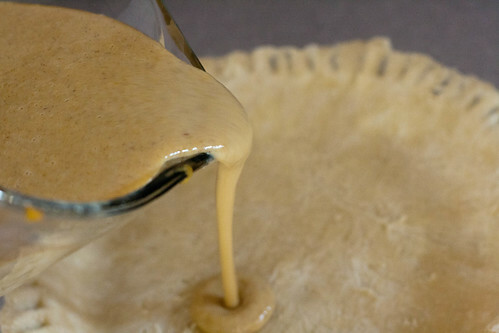 Pour the mixture into the pie crust and bake for 15 minutes. After the 15 minutes, lower the temperature of your oven to to 350F and bake until set, 35-45 more minutes (my oven gets tired partway through and stops baking. It might only take your pie another 30 minutes to set, so just keep an eye on it). 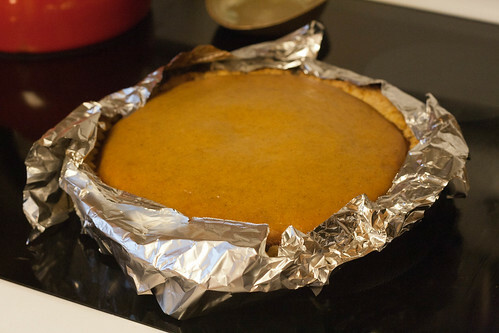 I had to cover the crust with foil pretty early on to keep it from burning, but after that it was just a matter of letting the center bake completely. 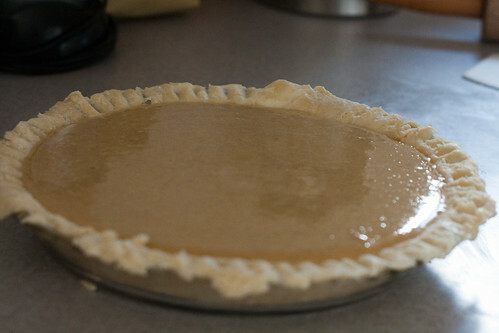 You’ll know it’s done when the entire top of the pie has darkened and the center isn’t very jiggly. 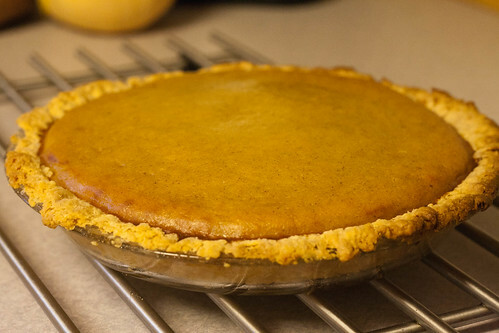 You can also do the knife/skewer test, but I didn’t want to put a hole in the top of my pie. Serve this still slightly warm, or chilled if you’re baking this ahead of time. 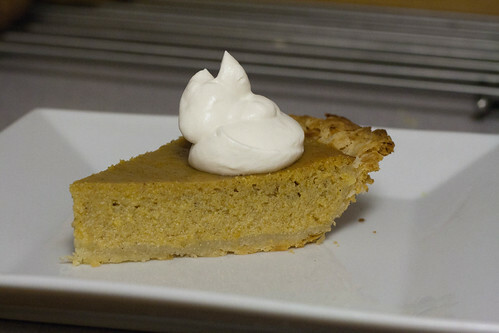 Make sure to whip some cream to go along with your pie! P.S. What are you doing for Thanksgiving? Do you go totally classical and have turkey, mashed potatoes, etc? Or are you a rebel and do something like lamb-stuffed squash? How about the vegetarians–any mint quinoa or paella? Help me plan my Thanksgiving!